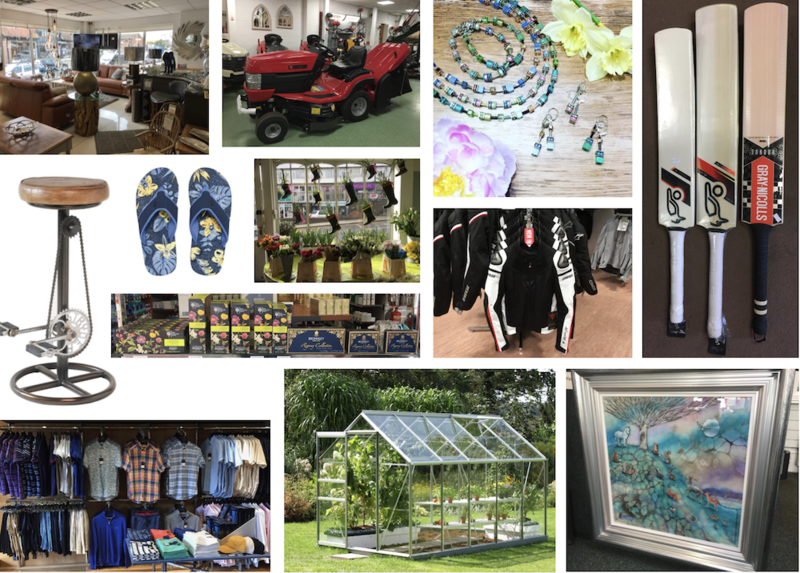 Check out this Uckfield News April shopping feature to see what is new in Uckfield shops and where to find the latest bargains. PipeDreams is beginning its change from a winter ski shop to a summer surf shop. You will now be able to find flip flops from Animal, Reef and Havaianas there along with spring and summer clothing for men, women and children. There’s a fitness range for ladies too, and, perfect for the easter holidays, there are plenty of skateboards, scooters, and accessories. At the same time, for anybody still planning last minute ski trips, there are bargains to be had in ski clothing and accessories. New stock has arrived at Final Score ready for the cricket season. There are bats for children, as well as adults, whites, and accessories including padding and guards. Final Score will be open today (Saturday, March 31), but closed tomorrow and Monday. The shop will re-open on Tuesday after the Bank Holiday. 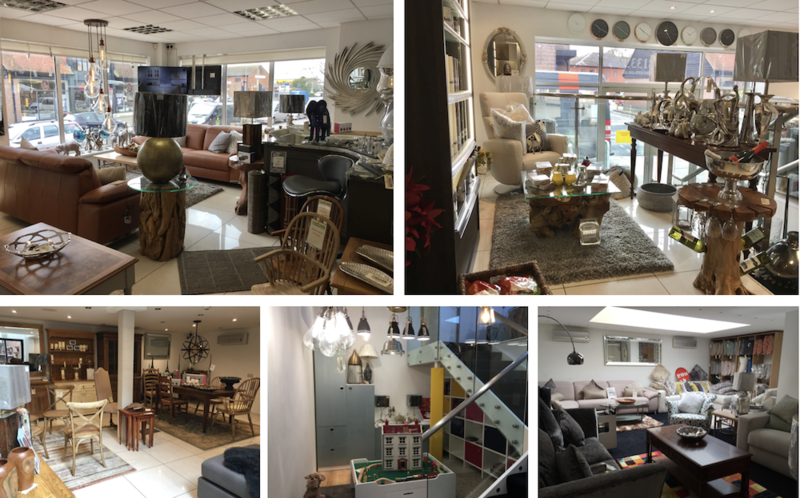 Displays are still being organised at Fluffy Side Up, the carpet shop, which opened earlier this month at 75 High Street. Owner Sebastian Bishop said he was pleased to have his business back in town and once work has been completed inside he will be inviting people to celebrate with him. Read more about Fluffy Side Up in a previous Uckfield News story here: Carpet business to open shop in Uckfield High Street. Carvills are looking forward to warmer weather with all the accessories you need for spring. There are new designs from the ever-popular Powder range, including sunglasses, scarves, bags, hats, all in fresh colours and designs. Examples of new stock at Carvills. Jewellers W E Clark & Son will be offering 20% off wedding rings from Saturday, April 14, to Saturday, April 28. 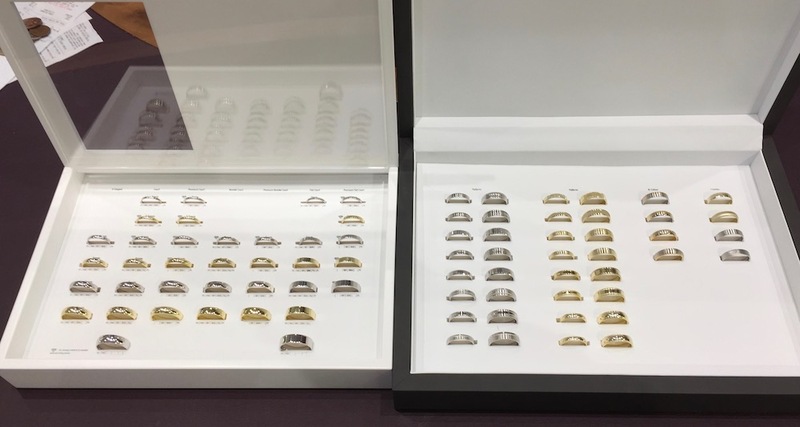 The shop has 24 different styles of wedding ring, in seven different widths, and in white or yellow gold, platinum, or palladium – another metal in the platinum family. Prices start at £150. Rings can be made bespoke for you too, to your own design, and to fit around engagement rings. Appointments are not necessary and you are welcome to call in any time to choose your ring which will be made to order and take from one week to four weeks to complete. Wedding rings at W E Clark & Son in Uckfield. 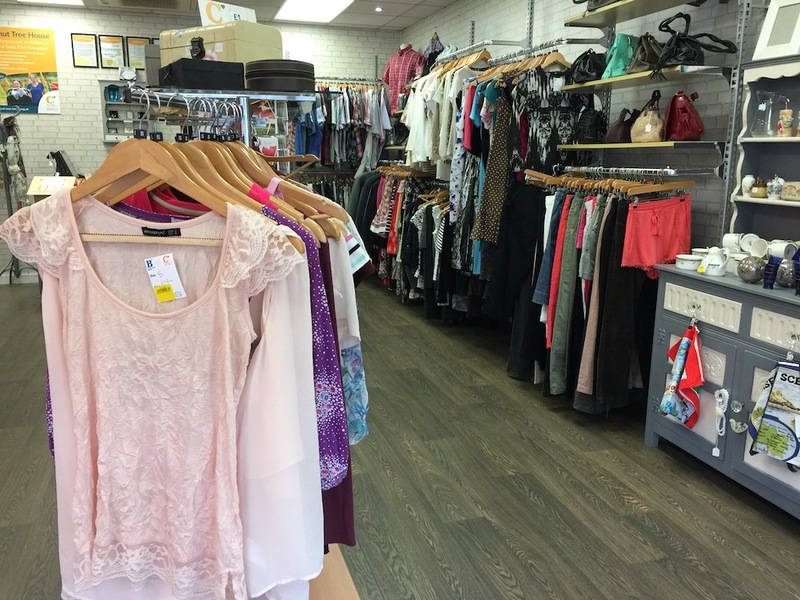 The Chestnut Tree Hospice charity shop is ready for warmer weather with spring and summer stock now displayed in the shop. There are still some ballgowns and prom dresses there too but they are not sure how much longer they will be available. Spring and summer stock now on display at Chestnut Tree charity shop. 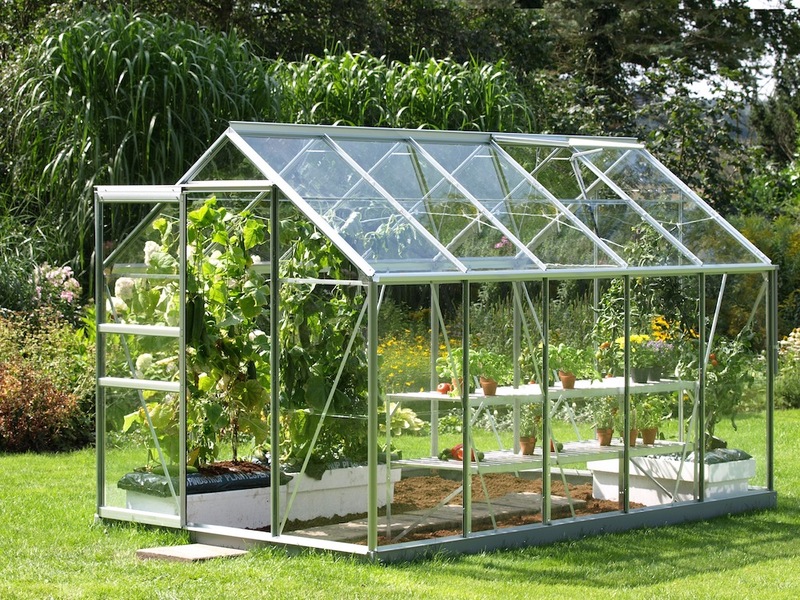 As thoughts turn to spring and flowers are blooming Superior Glass has plenty of greenhouse glass available. Horticultural glass is available in three standard stock sizes (as below), but they can cut it to any size or shape for you. Superior Glass also has clips available to keep your glass safe and secure. Greenhouse glass is available at Superior Glass on the Bellbrook Estate in Uckfield. Garden furniture is now on display at SG Home Interiors in Bell Farm Road, Uckfield. There is teak – the best for wooden outdoor furniture – and a seletion of good quallity wood benches, tables and chairs. There are more options in metal and outdoor weave too. Also available at SG Home Interiors are kitchens and bathrooms, with free design service, for every budget; a new way of buying made to measure sofas which can be configured in size and style, and furniture made bespoke for you in a Lewes workshop. What you see from the outside of the showroom is a fraction of the space that opens up inside where you will also find more than 50 mirrors on display – with many more available – and a good selection of rugs. There are cushions and throws, with a new range just arrived, candles and wax melts and lots of unusual gift ideas and accessories. And as an extra treat when you visit you’ll find tea, coffee and cakes available – including hot cross buns this weekend – produced in a working display kitchen. SG Home Interiors will be closed tomorrow (Easter Sunday) but open on Bank Holiday Monday. So much to see inside SG Home Interiors – with tea, coffee and cake available too. 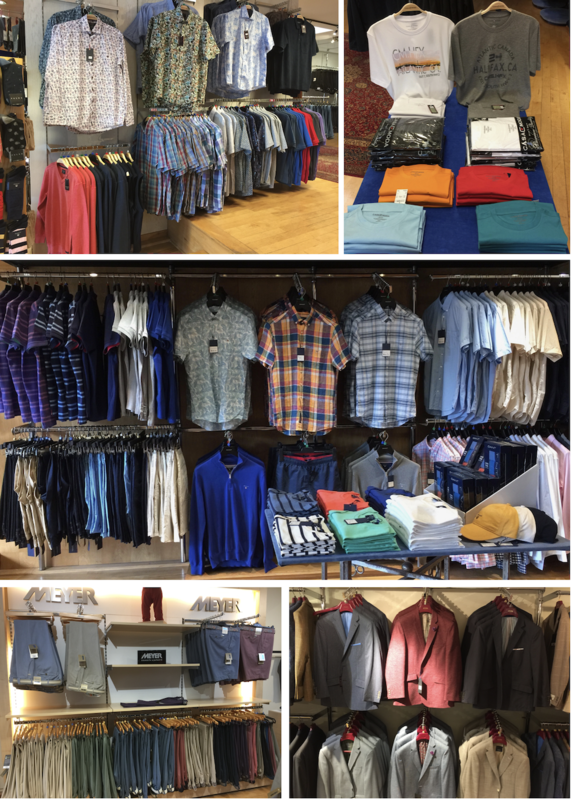 Spring and summer stock is now available at Cole’s menswear with shirts, including short sleeve, polo and T-shirts, trousers, shorts and jackets, all in light-weight materials. Spring and summer stock at Cole’s menswear. Two classes are being organised by Josefina on Saturday, April 21. One will have hints and tips on painting furniture and the other is a make-up master class. Another make-up, this time focussing on mature skin and designed for women aged 40+ is planned and due to take place on Saturday, May 12, from 3-5pm. Keep an eye on the Josefina Facebook page for more details about classes as they are arranged. One to look out for will be an evening class about making lampshades. Louise Beard, owner of Josefina, says she would be pleased to hear from anyone else who would be interested in teaching craft classes. • Don’t forget Josefina offers a We Love your Furniture painting service where they can transform your pieces and add to a new look by changing handles. 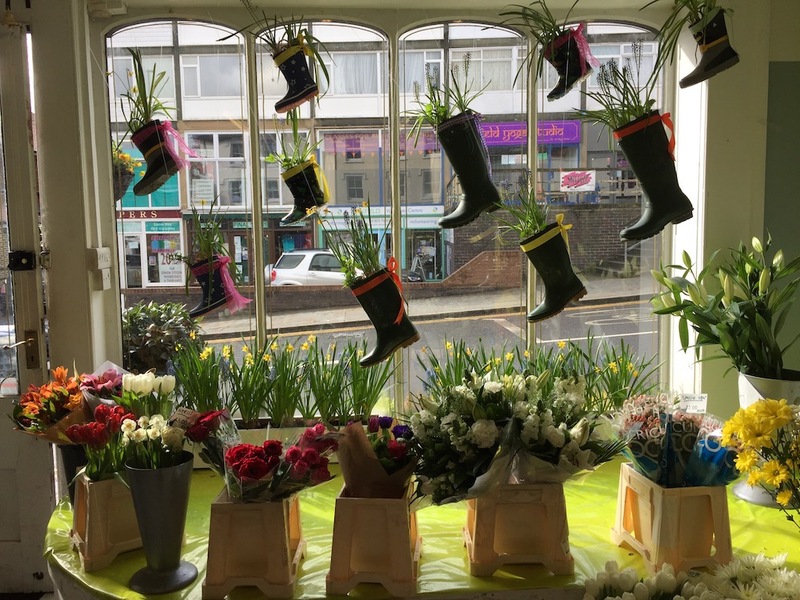 One of the window displays at Josefina in Uckfield High Street. The shop is open today but closed Easter Sunday and Easter Monday. Bronnley who produce luxury toiletries, fragrances and soaps have dedicated a new range to gardeners by creating products to cleanse, relax and revive, after a hard day’s toil. Bronnley pampering products especially for the gardener and a new Regency soap collection at Kamsons. They include relaxing bath soak, hand wash, hand lotion and hand cream. 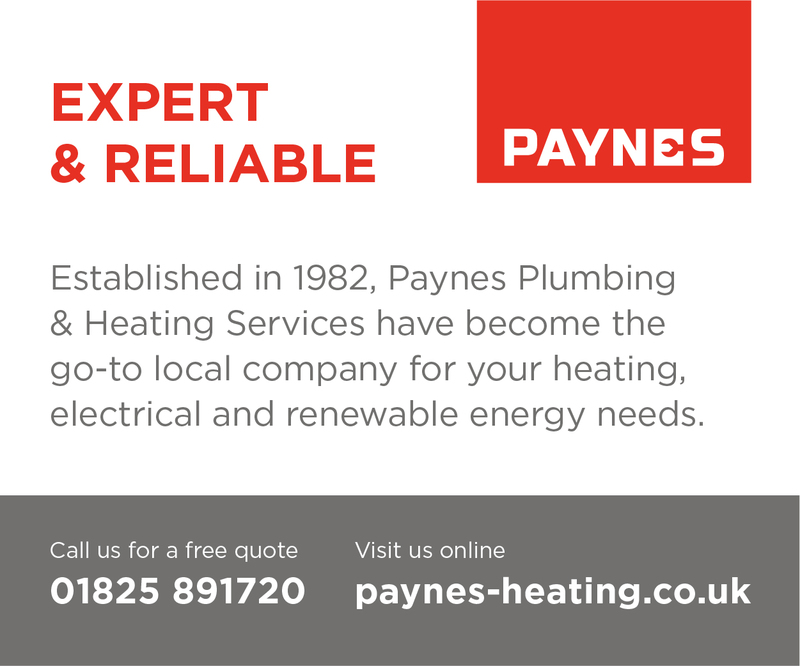 Find them at Kamsons in Uckfield High Street. Kamsons also have the new Bronnley Regency Collection of soaps. The pharmacist also has a huge range of make-up mirrors so do take a look there when you need a new one. Huge range of make-up mirrors at Kamsons. The Flower Shop offers an alternative to chocolate as an Easter gift and bulbs and lilies prove particularly popular. 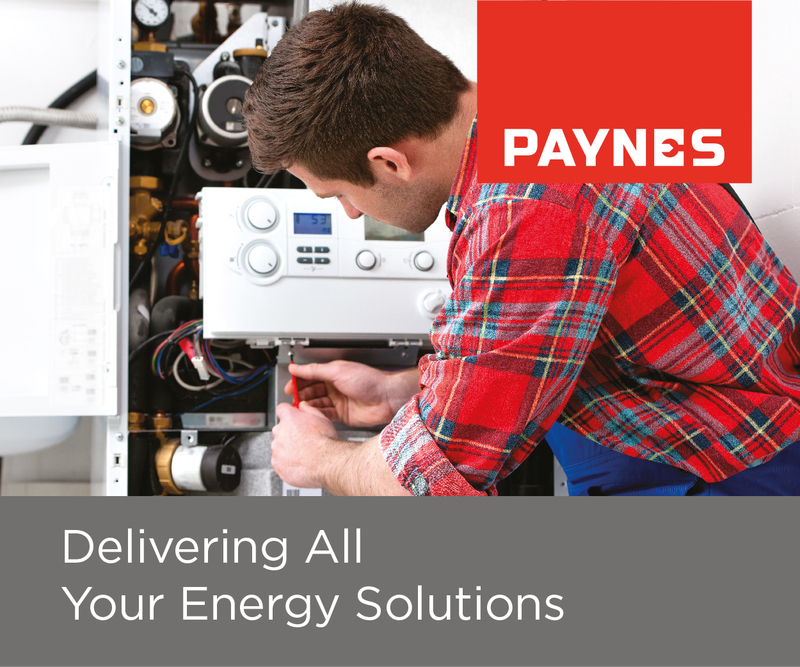 The shop will be open today and you are welcome to call in. Pretty display in The Flower Shop window. New works from Barry Hilton, Kerry Darlington, Barry Hilton, Sam Toft and Nicky Lichfield, are among latest arrivals at the Diane Hutt Gallery. See examples below. New works at the Diane Hutt Gallery include a set from Barry Hilton, see two of them left, Kerry Darlington, top right, Sam Toft’s Rebel Rebel, middle and Nicky Lichfield’s badger. Kilnwood Studio will be open during the Easter holiday if you fancy trying your hand at pottery painting. The studio will be open today but closed tomorrow, Easter Sunday, and Easter Monday, though you might find owner Jane DeVay with a pottery painting stall at Kings Cote Station on the Bluebell Railway both those days. Normal opening hours apply through the holiday, Tuesday to Saturday, 10am-5pm. 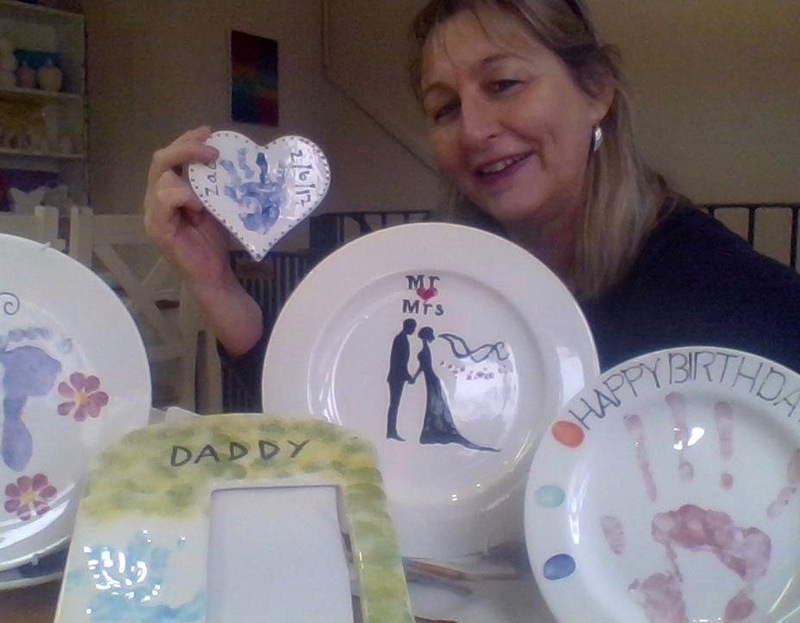 Jane DeVay with examples of pottery painted at Kilnwood Studio. 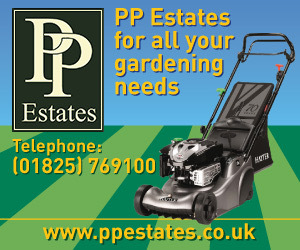 Electric, petrol, battery and even robot mowers are available at PP Estates on the Bellbrook Estate, Uckfield. 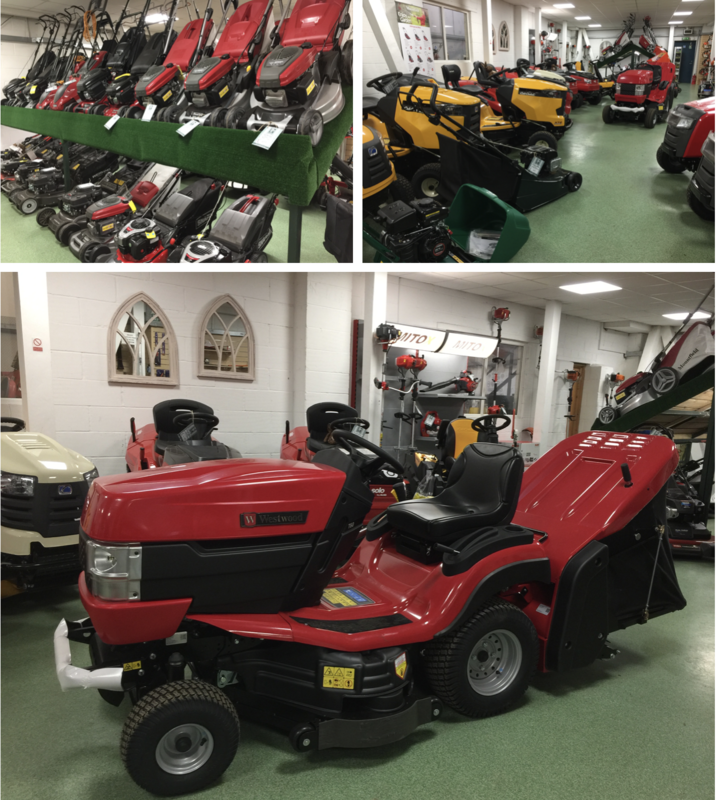 There’s a huge range to explore and you’ll receive 15% off the recommended retail price of Westwood tractors during April if you mention Uckfield News. Plenty of choice in mowers at PP Estates on the Bellbrook Estate. There’s 15% off Westwood tractors, bottom picture, for Uckfield News readers too. New 100% cotton fabric is proving popular at Sew n Sew and some featuring unicorns is being snapped up for children. 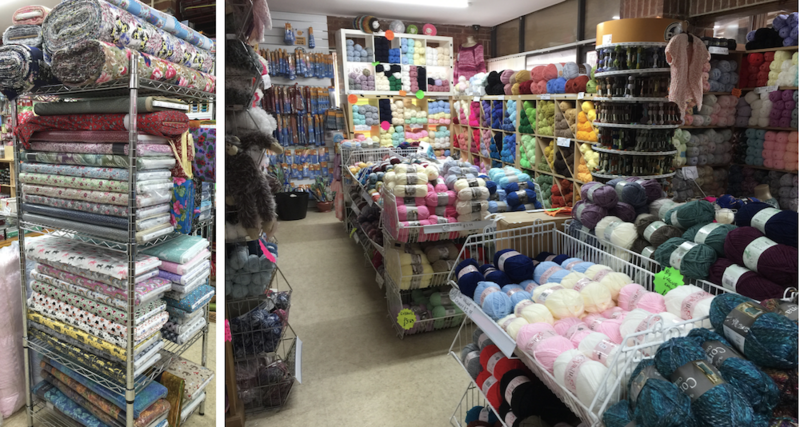 The wool section of the shop has expanded again too. New fabric and more wool at Sew n Sew. There are new breakfast and lunch menus at Hartfields. Breakfast specials, which are served until noon, include drinks of Winter Warmer Red Bush Punch and Mixed Winter Berry and Banana Smoothie, with food of Smoked Kippers, wilted spinach and poached egg, or Hartfields Cowboy Beans with homemade beans, chorizo sausage, peppers, onions, local smoked cheese on a warm tortilla. The main breakfast menu has options of a light breakfast – such as hot bacon or sausage sandwich, filled hot croissant – or the classics, first class English, The Full Monty or Vegetarian. There are a variety of egg dishes, breakfasts with a twist, such as Fluffy American Style Pancakes, or Breakfast Burrito and there are omelettes too. On the lunch menu served Monday to Thursday noon to 4pm, Friday and Saturday noon to 6pm and on Sunday from noon to 3pm are sharing boards and light bites, sandwiches, burgers, salads and mains including Hartfields Fish Pie, Sweet Potato, Cauliflower and Chickpea Tagine and Chicken Schnitzel Hash and Fried Egg.